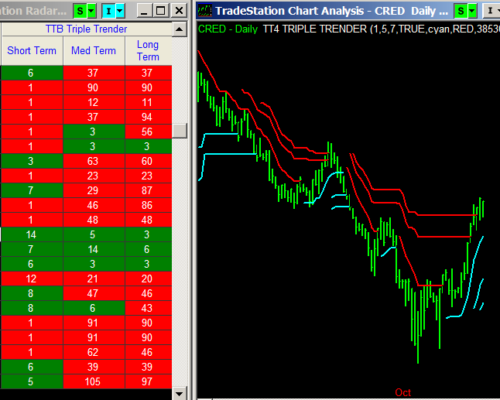 Designed specifically for traders who follow a large list of favorite stocks and futures, this set of tools combines the powerful scanning capabilities of TradeStation’s RadarScreenTM platform with one of our best trend indicators, the Triple TrenderTM. 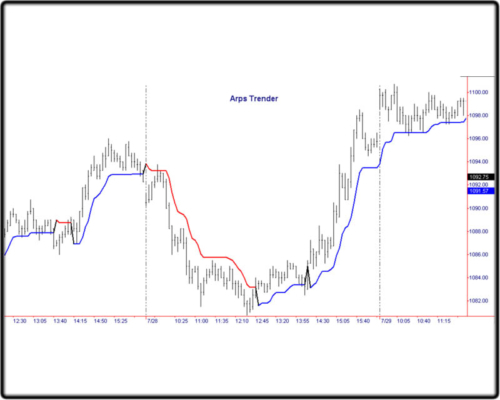 An ideal scanning filter, the Triple Trender gives you the power to “Trade with the Trend” along three different time frames: short-, medium-, and long-term. 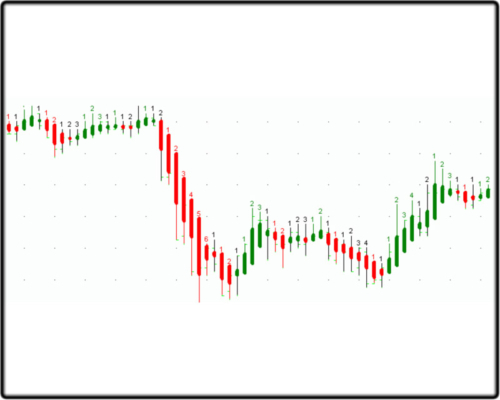 The TT 2-Bar Trend Candle Indicator provides the user with an improved way of plotting price bars to identify trends and predict future price movement. 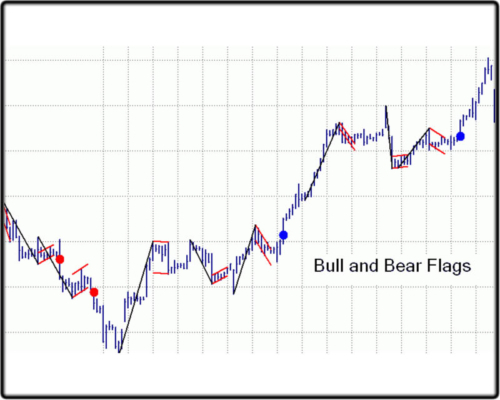 This improved algorithm utilizes the open, high, low, and closing prices of the most recent two bars to create a candlestick on the current bar. It is based on a concept first introduced into the trading community as the Heikin-Ashi algorithm.